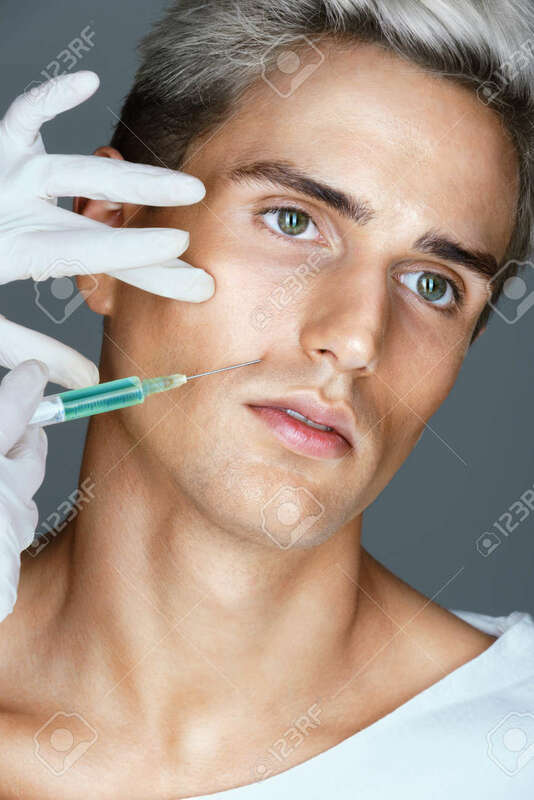 Doctor Giving Botox Injection On Face Of Young Man. Photo Of Man Getting Injection In The Nasolabial Folds. Cosmetology Concept Royalty Free Fotografie A Reklamní Fotografie. Image 64945728.